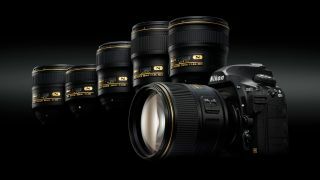 Nikon celebrated its 100th birthday last year – and it certainly had a lot to celebrate. As one of the most dominant players in the photographic industry, the company's products have been used to capture some of the most iconic images in history, from Steve McCurry's Afghan Girl to Robert H Jackson's photograph of Lee Harvey Oswald's final moments. Today, the company's DSLRs are used by professionals as much in the sports field as they are out in the wild, and a handful have even made their way up to the International Space Station. Of course, they are also used more widely by a range of amateur and enthusiast photographers, and if you're among these then you'll probably know a thing or two. So why not put your knowledge to the test with our latest quiz? Fifteen questions on everything to do with the company's cameras and lenses. Can you get a perfect score? Best of luck – and if you do well, shout it loud and share your results! Full-frame sensors are now found inside just as many mirrorless cameras as DSLRs, but what do you really know about them? Know your depth of field from your focus distance? This quiz taxes your knowledge on everything to do with lenses. 1in, APS-C, full-frame... sensors can be pretty confusing, but if you know your stuff this quiz should be a doddle. Mirrorless cameras have been with us for a decade now, but have you been paying attention?